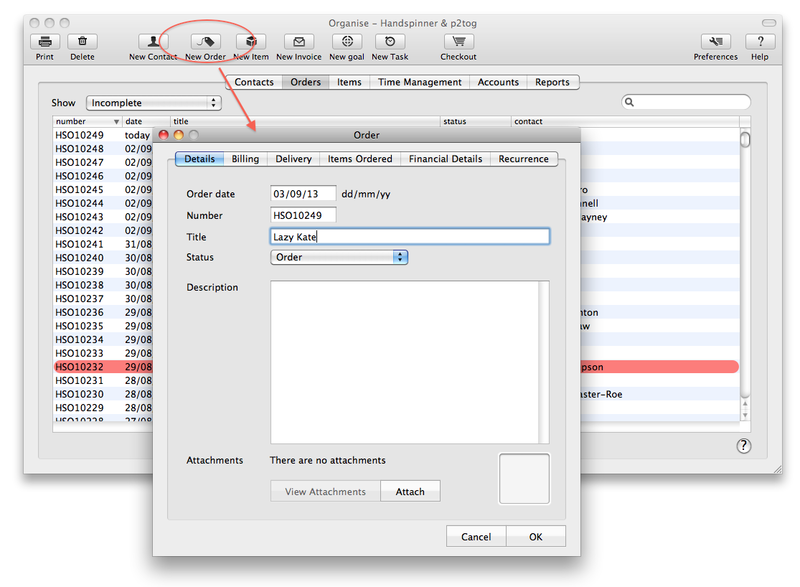 Here's how to enter the details of an order into Organise and generate paperwork in just a few clicks. The process is very similar if using the 'checkout' (point of sale) interface. 3. Click the 'Billing' tab. For an existing customer (or if you're not sure whether it's an existing customer) click 'Select Contact' and search for their name, postcode, whatever. For a new customer, click 'New Contact' and paste in their details. 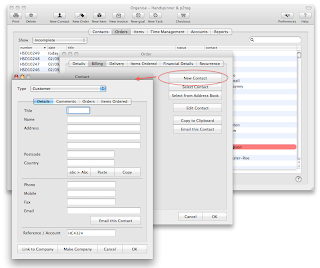 You can use the 'Paste' button to paste the whole name and address into the separate fields. 4. If the delivery address is the same as the billing one, skip to 5. Otherwise repeat 3 in the Delivery tab. 5. 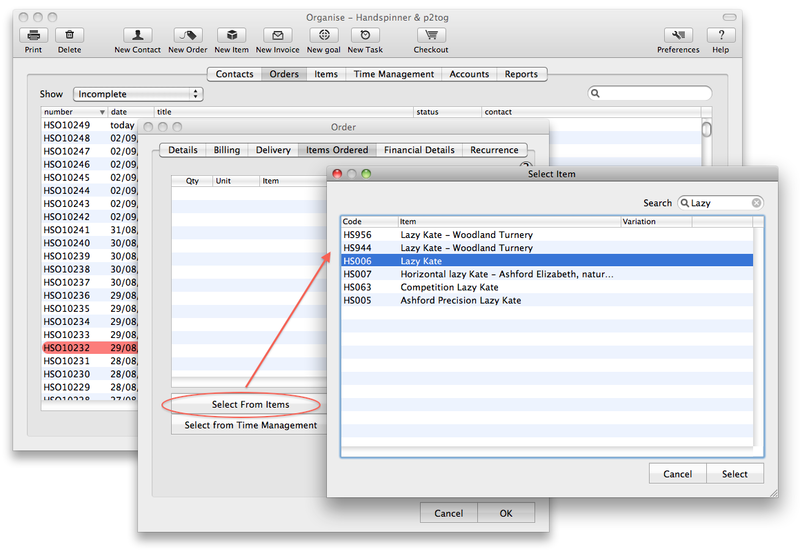 If the items ordered are already in your inventory ('Items') then select them using the 'Select from Items' button. Otherwise you can add an item 'Adhoc'. (which will not add the item to your Items list). 7. Choose a template (you may like to customise the templates first - use 'Edit Templates'). 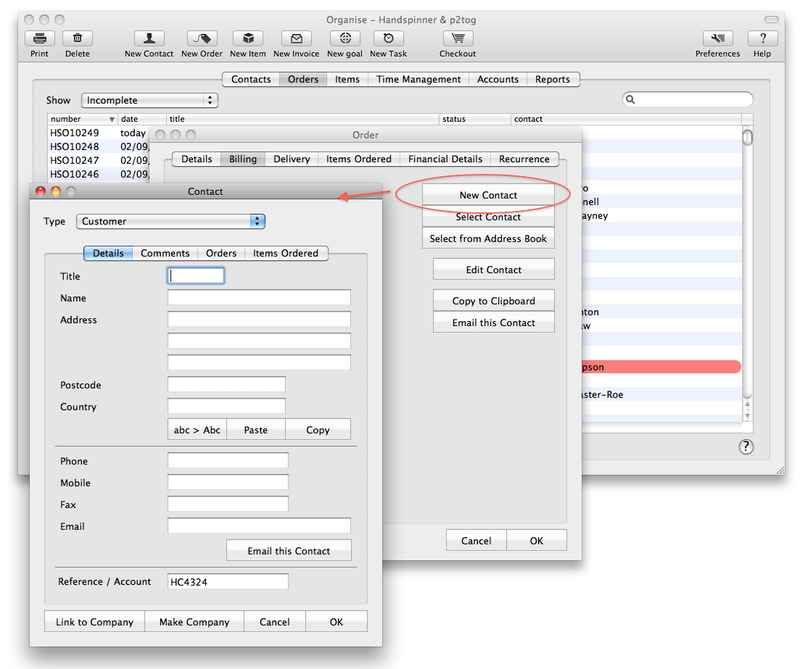 Click 'Generate' to put the Order details into the chosen Template. You can print this or save as pdf for emailing or to keep a copy. 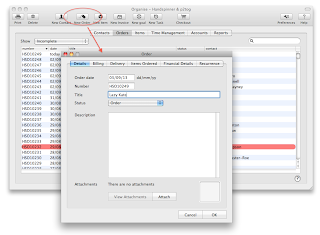 If you press the 'Save PDF' button, the pdf will be attached to the order, find it by clicking back to the 'Details' tab. 8. Use other templates (you can create your own) to generate other paperwork - delivery note for example.